UMass Memorial Health Care is the largest employer in the Central Mass. region, with four member hospitals and the only nearby provider of a level one trauma center and a neonatal intensive care unit. The organization also offers a “social safety net” by providing care to those with limited or no health insurance. Beyond treatment facilities, however, UMass Memorial is also home to some of the most advanced medical technology and expertise imaginable, in areas that include cardiology and orthopedics. One nurse saved a man’s life after he dove into shallow water. Another saved a man’s life when he lost consciousness watching his daughter’s gymnastics recital. Then there was the nurse who saved a man’s life in mid-flight on an airplane. These kinds of stories are of immediate interest to the news media, and for UMass Memorial Health Care, they represent the kind of coverage that helps set the organization apart from nearby health-care providers in Boston. They are stories that might never have gotten the attention they deserve, however, if the UMass Memorial team didn’t demonstrate such sophisticated use of technology from Cision. 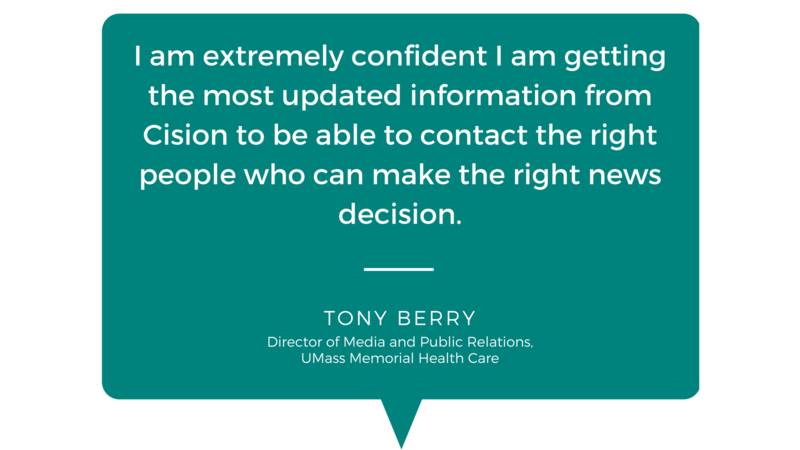 Like any large organization, the UMass Memorial media relations team will deal with the occasional “bad news” story, but it has an even more important mandate around positive coverage. In fact, the organization has tasked its media team to generate 100 “good news” stories each year. That might seem like a tall order for a group that consists of only four people, but there are other complications. UMass Memorial is situated in the largest market in the United States without a dedicated TV news network, meaning the team is essentially battling for attention from TV news crews in Boston. Berry and his team use Cision Comms Cloud, a platform that integrates a wide variety of tools for researching media outlets, targeting a pitch, monitoring coverage and managing PR campaigns. 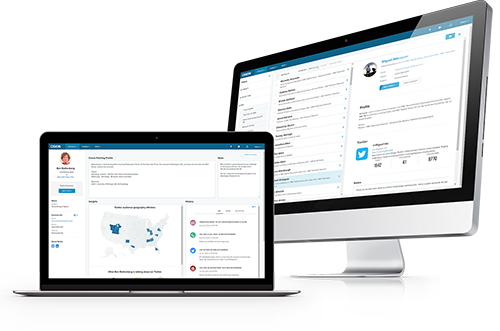 The most recent edition of Cision Communications Cloud also integrates PR Newswire’s distribution service as well as Help A Reporter Out (HARO), where journalists can make requests for sources. Coverage About What Matters: Many years ago, a three-year-old girl had to have complex heart surgery to save her life. She needed a similar procedure at age 21 when she was living in California. After struggling to find the right medical professional in her hometown, though, she and her mother tracked down the original doctor at UMass Memorial Medical Center. This became a great news story, where TV news crews from Boston flocked to the site. “It just took off -- it received tremendous coverage,” Berry says. 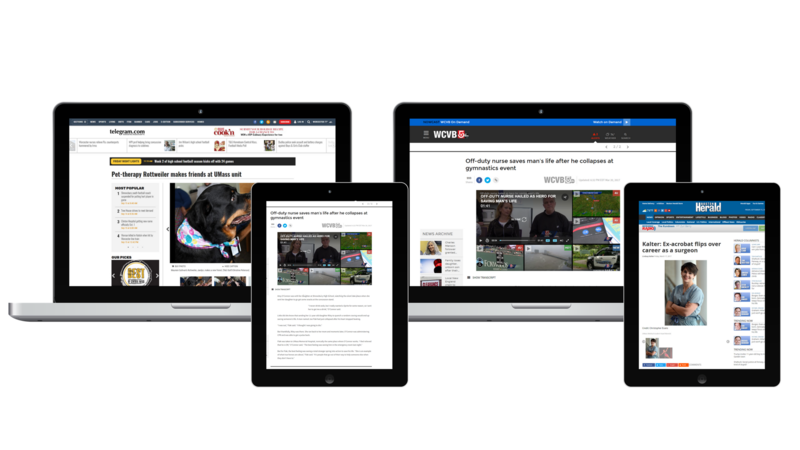 Overall, good news stories from the team have been picked by the Boston Globe, Boston Business Journal, and national trade publications. Other stories have appeared in The New York Times and the Wall Street Journal. Cross-Functional Story Ideation: Berry describes himself as a communications professional with “a passion for pitching,” but he recognizes that not everyone has the same zeal. Access to Cision, however, has opened up new interest across UMass Memorial Health Care. “I can work in any environment, but this new platform makes it so much better for our team to identify opportunities,” he says. In fact, Berry sent an e-mail request to a wide variety of colleagues asking for ideas and received one that proved so good he secured interviews with two outlets. “It only took me an hour,” he says. Improved Subject Matter Expert Preparation: Before using Cision Comms Cloud, Berry and his team would typically put together a briefing book for an employee about to be interviewed by the media manually. Now, however, it’s just a matter of electronically pulling information about a publication, reporter, editorial calendar or other critical information. Berry and his team will continue using the Cision Comms Cloud, which he says has offered simplicity and integration among an array of helpful features. “This is so easy to use,” he says.